In almost any busy retail space, a harmony of blips, beeps and hums can be heard as customers slide cards and mobile phones across the colorful pads of smart-card readers to pay for transactions. Although primarily used for transportation in other countries—Hong Kong’s Octopus card and London’s Oyster cards are well-known examples—here in Japan, the automated chip technology goes even further, starting with FeliCa-enabled mobile phones in 2004. Since then, a whole slew of smart card networks have been born, giving consumers the option of making speedy one-touch purchases. Popular because they’re convenient— no fumbling with change, no signing receipts—and can be charged with either cash or credit card at a kiosk or at home, their use has become so utterly normal in major metropolitan areas that even children carry them. According to a Nikkei Trendy Net survey, of 15,092 people, 72 percent use some sort of smart card, although this seems to be mostly for transportation. The next most likely place for someone to use a card is the convenience store, with 56.5 percent of card carriers swiping to purchase small items such as bottled beverages, gum and newspapers. However, less than 11 percent of users said they pay with electric money at department stores and restaurants, a sign that the cashless trend is not as prolific as it is at first glance. But one city is hoping to change this. 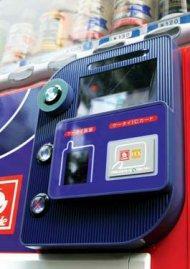 In March 2007, the city of Nagoya took a major leap towards becoming a cashless society when it installed the QUICPay electronic money system in over 1000 stores and restaurants in the shopping areas around Nagoya Station. This would be a fruitless feat if it wasn’t for one of the city’s major tenants, Toyota. The auto maker, which is stationed in the city’s Midtown Square complex, equipped all employee ID cards with the QUICPay chip and began encouraging their employees to swipe for all purchases before, during and after work. 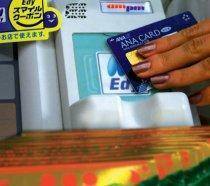 Convenience stores see the highest volume of smart card users. While a future of gazing past cash registers with not a bill or coin in sight sounds fantastic, there are several problems with the system. One underlying issue, made all the more real with recent bankruptcies of once infallible financial institutions, is the lack of insurance or guarantee in the event that a company managing users’ money goes under. A larger, more apparent problem is the sheer volume and variety of cards available and their lack of compatibility. Although the above-mentioned survey covers over 10 cards, and transportation mainstays Suica and PASMO have become almost interchangeable, the rest offer little in terms of compatibility. PiTaPa, iD, QUICKPay, Smartplus; a tongue-twister list of names makes for a colorful wallet as shoppers must take out a Nanaco for 7-Eleven and a WAON to shop at Jusco. Well-known smart-card giant Edy is by far the most popular, with 41 million Edy-enabled cards accepted at over 75,000 locations. But this does not come close to making the system universal, and it lacks the most essential function—use on trains. Seeing this problem, the Japanese Automatic Merchandising Association (JAMA) has begun to cut a path through this smart-card jungle. Teaming up with a company called MP Solutions, NEC, Ito-en and other vending machine manufacturers, JAMA has started to develop a smart card reader that accepts up to eight different types of cards and plans to install them on 500,000 machines by 2010. While this is undoubtedly a leap in the right direction, consumers are left to wonder what took so long and why the technology will not be more widespread, as their wallets stretch to accommodate even more plastic.